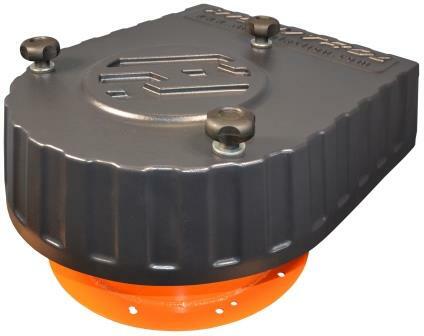 Hycontrol Ltd launches the Shield silo protection system. Hycontrol Ltd announces the launch of the Shield silo protection system. The compact, all-in-one system is a product of years of technology to protect powder storage silos from pressure during tanker-fed deliveries. Utilizing purpose-designed, state-of-the-art pressure monitoring and control equipment, Shield meets and exceeds best engineering practice and current guidance from the Mineral Products Association. The new system has been redesigned from the ground up to offer customers the same comprehensive protection as Hycontrol’s original SPS, but with new and enhanced performance features and at a more competitive price. Powder storage silos are commonplace in many industries but are at risk of over-pressurization during tanker deliveries, which can happen when the filter unit gets blocked or if the pressure blowing in during the fill is uncontrolled. Air pressure from as little as 1 or 2 psi can easily rupture a silo or blow its filter unit off the top. This poses a serious health and safety risk, which is why a comprehensive safety and alarm system is vital. Shield incorporates the essential high-accuracy silo safety components into a modular design that can be adjusted to suit site requirements. Maintenance has been made easier and the long-term cost of ownership is lowered. Along with many new features, Shield incorporates Hycontrol’s Ground Level Test technology, enabling a one-button full-function test, and inbuilt system diagnostics aid preventative maintenance. “Drawing on our years of industry experience, it is clear that there is still a widespread requirement for comprehensive silo safety systems,” said Hycontrol managing director, Nigel Allen. “From now on, cost is no longer a valid excuse for ignoring safety. Hycontrol has led the silo protection field for over a decade through both innovation and product performance. We have added new features and improvements to the Shield system, whilst lowering the cost to meet the needs of the competitive end of the market, particularly in ready-mix and concrete.